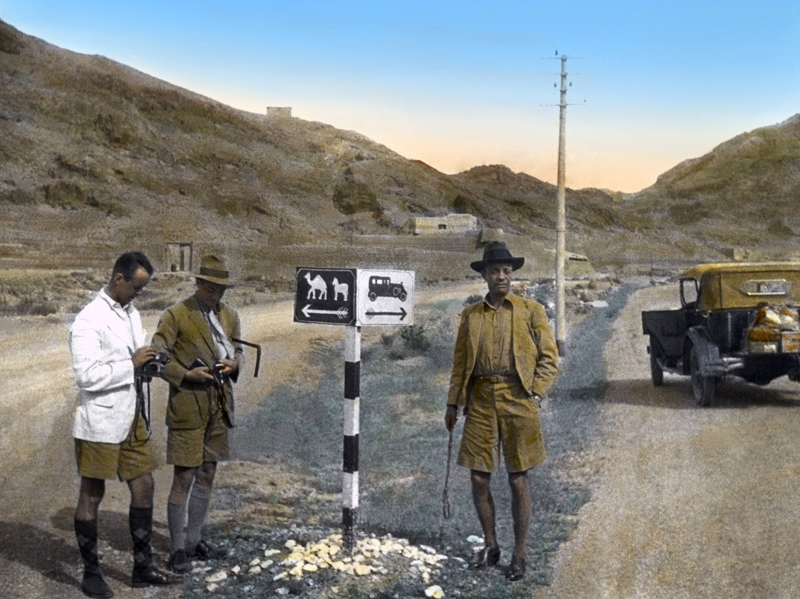 In Small Things Remembered » Colonel Theodore Roosevelt, Jr. and his wife visit Afghanistan. Colonel Theodore Roosevelt, Jr. and his wife visit Afghanistan. a. “Ted,” Jr. (right) poses at the famous sign. 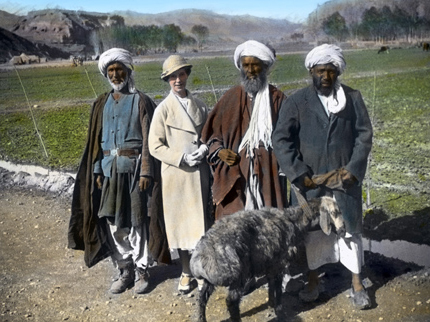 b. Mrs. Eleanor Roosevelt with local tribesmen. At King Nadir Shah’s behest, the Roosevelts traveled to Afghanistan following the Colonel’s tenure as Governor General of the Philippines. They were met at the border by Prince Mohammed Daoud, the King’s young nephew, who later became Prime Minister and then President of Afghanistan. The couple’s cousin, President Franklin D. Roosevelt, began official communications with the Afghan government the following year. LC-LOT 10526 (J) #120 and #145.